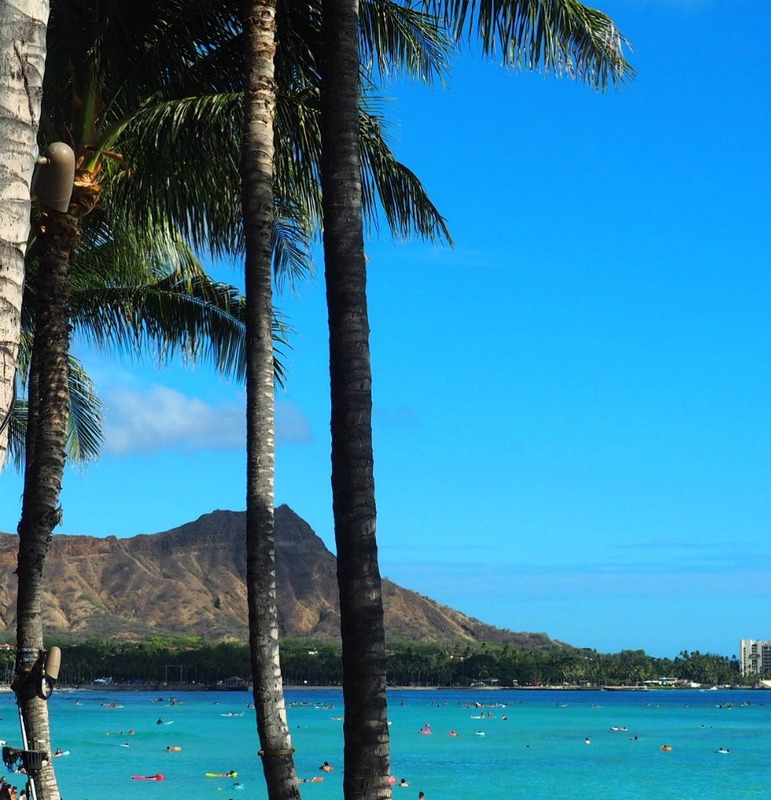 Let’s be honest, every hour in Waikiki is a happy one. 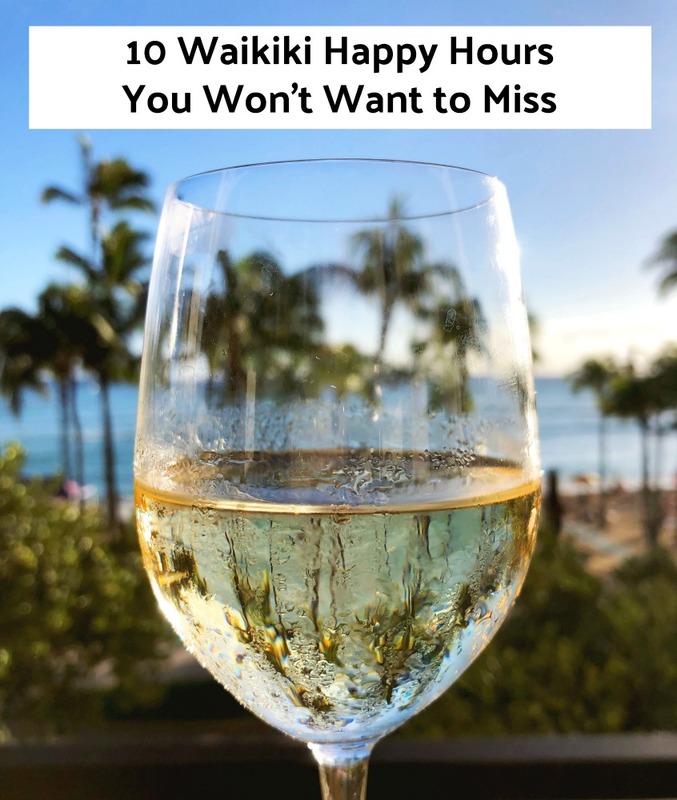 But if you’re keen on delicious food and drink options that won’t break the bank, you’ll want to check out some of Waikiki bars finest happy hours. I’ve included all my favourite happy hours in this round up and we totally took one for the team and have tried, tested and tasted them all. They’re all fabulous, all different but all within walking distance of each other in downtown Waikiki. With so many venues and so much choice, if you time it right, you can enjoy happy hour all afternoon from 2pm until 6pm and if you’re still hungry for more, you can go back for seconds, at one of the late night happy hours! 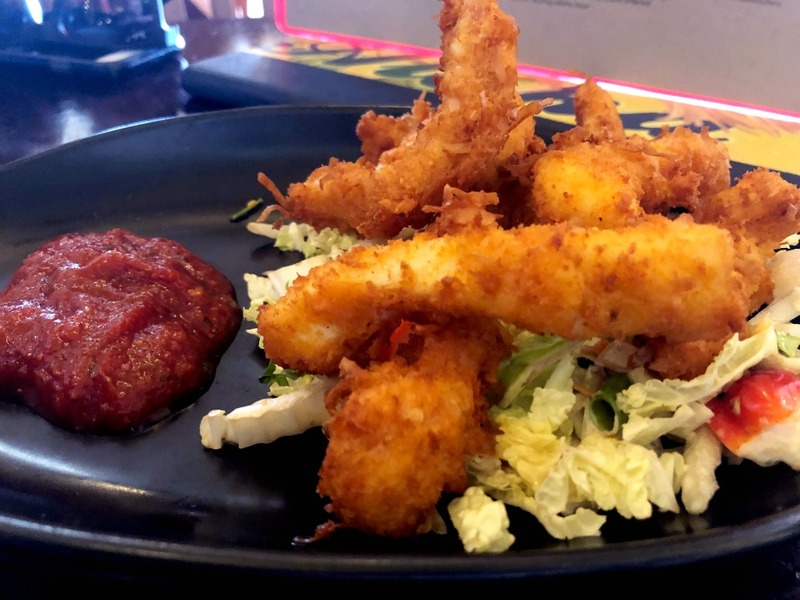 If you’re flexible about meal times and don’t mind eating lunch late or dinner early, you can save some serious dollars by eating out at happy hour and it’s a good way to sample different dishes from a variety of venues. So without further ado, let’s get happy, shall we?! 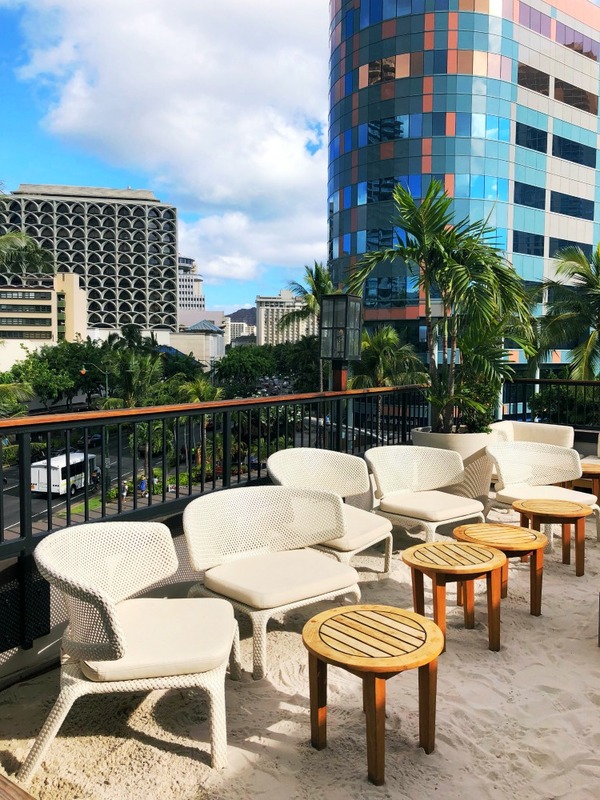 We love this rooftop bar perched atop the Tommy Bahama flagship store, there’s plenty of table seating, views over Kalakaua Avenue and a sand pit to boot. There’s a good selection of wine priced from $7-9, $8 cocktails and $10 martinis. There’s a range of beers available at $8, well drinks are $7 and there are a small but perfectly formed selection of small plates at $10. The Blackened Fish Tacos get our vote. In this posh beachside lounge, you’ll find a limited selection of Rumfire special cocktails ranging from $5-6.5, draft beer for $5 and a decent house wine for $6. Service is a bit lacking but the views more than make up for it. The snacking here is first rate, there are four choices, Kalua Pork Nachos ($10) Rumfire Kim Chee Fried Rice ($6) Korean Fried Chicken Wings ($6) but we can’t go past the Flash Stir Fried Edamame ($5) We are proper addicted! Located in the heart of Waikiki, Hawaii’s largest craft brewery is relaxed, fun and friendly and has some cracking deals at happy hour. 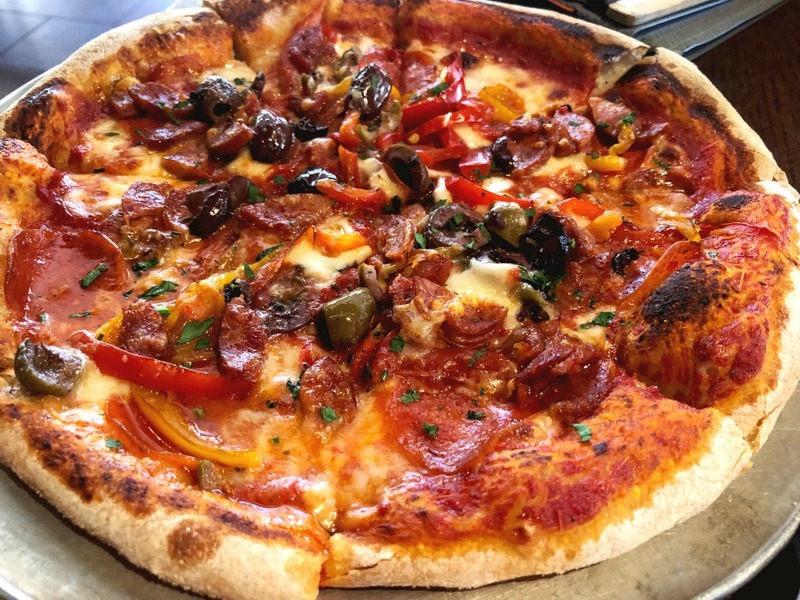 There’s $2 off all beers, $3 off culinary and classic cocktails – side note, the Bloody Marys are amazing – and 50% off a select range of appetisers including $10 pizzas. It’s excellent value and if that’s all not tempting enough, there’s heaps of both indoor and outdoor seating, a humungous bar and some totally awesome live music. 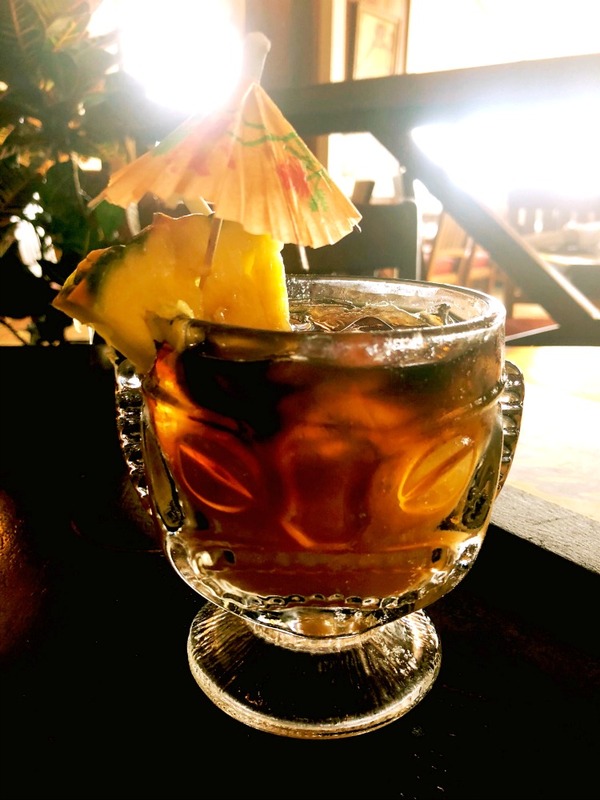 Head to the bar at this beachside eatery for a daily Aloha Hour. 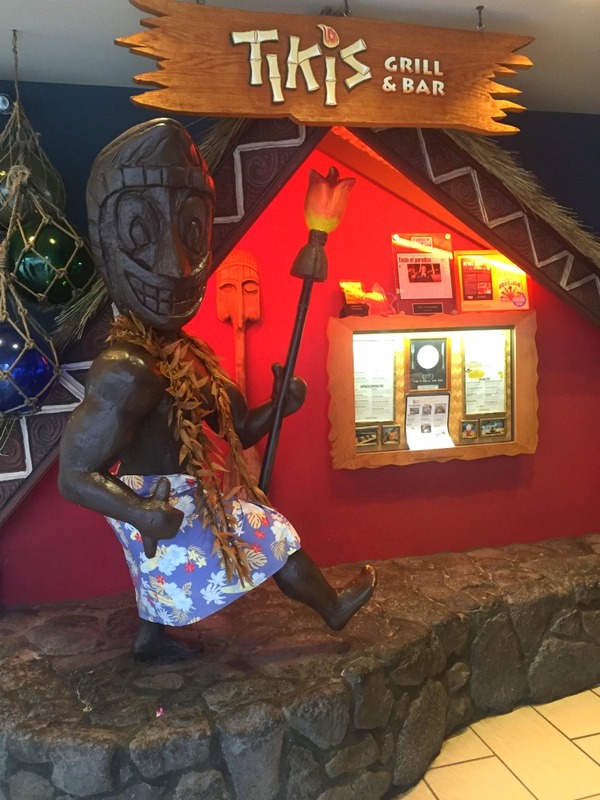 We first fell in love with the Maui version of the Hula Grill in Kaanapali when we were on honeymoon and it turns out we love the Waikiki version just as much. 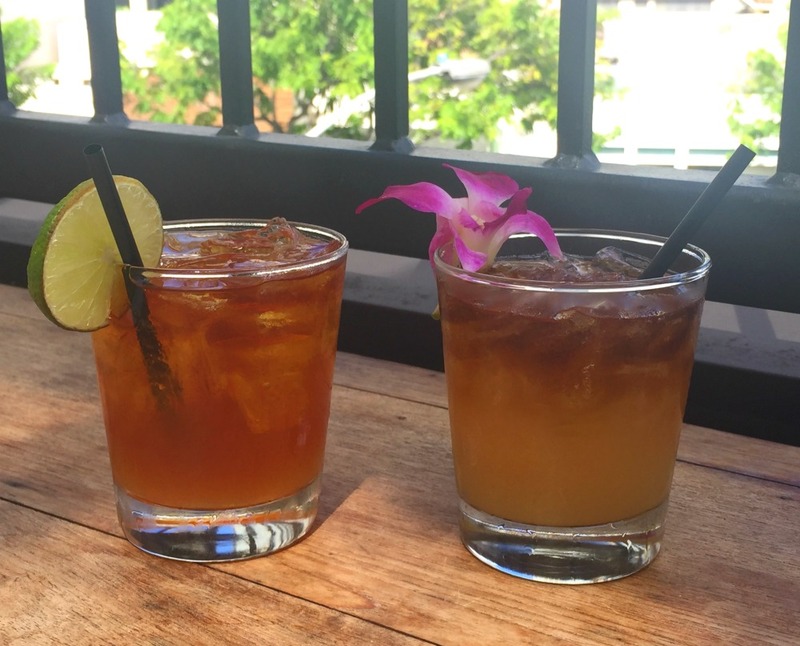 Here you’ll find local draft beers for $5, house wines for $6, a small selection of tropical cocktails for $6 and the freshly squeezed Hula Mai Tai for $7. We make friends with our sun lounger neighbours who have been coming to Waikiki for like forever. They reliably inform us that the Mai Tais here are the best in Waikiki and I’m inclined to agree. If nothing else, they totally look the part! Our neighbours also tell us not to miss the Coconut Crusted Calamari ($9) and when we taste it we see why. There are a delicious range of other pupu from $5 – $11. Don’t miss that calamari and while you’re at it, chuck in a couple of the tacos ($8) they’re all kinds of delicious. 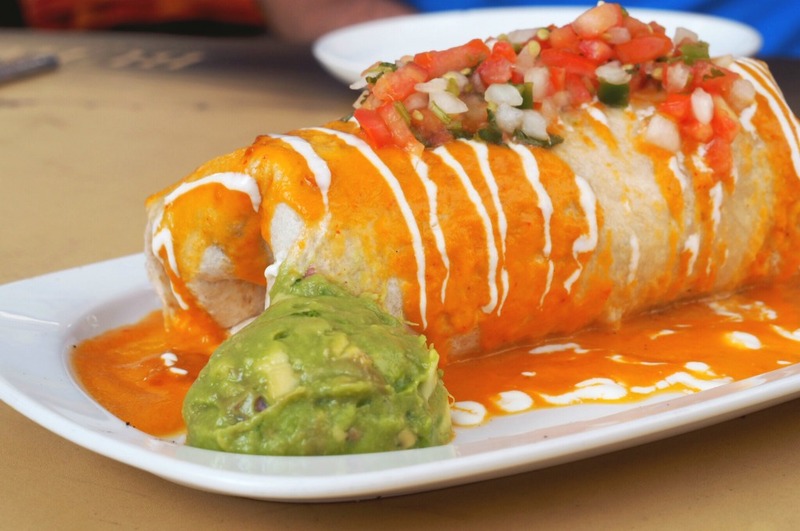 If you think spicy is nicey, you’ll love the relaxed, modern roof top that is Buho Cantina. There’s a great vibe, a moreish Mexican menu, a cracking list of Mexican inspired cocktails and some fabulous live music. At Happy Hour wine is $6 a pop, draft beer is $4 and Margaritas are a snip at $7. There are a range of Mexican pupu ranging in price from $3 to $9. 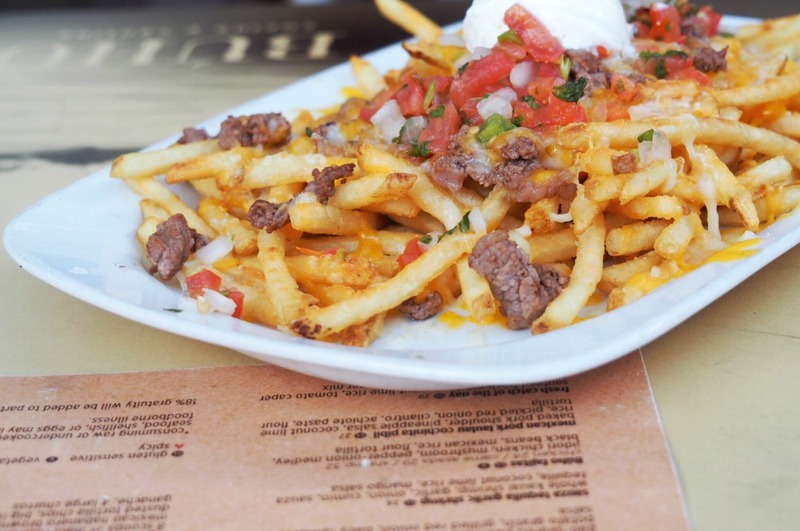 We can’t go past the Gordito Burrito or the Carne Asada Fries. Nom! 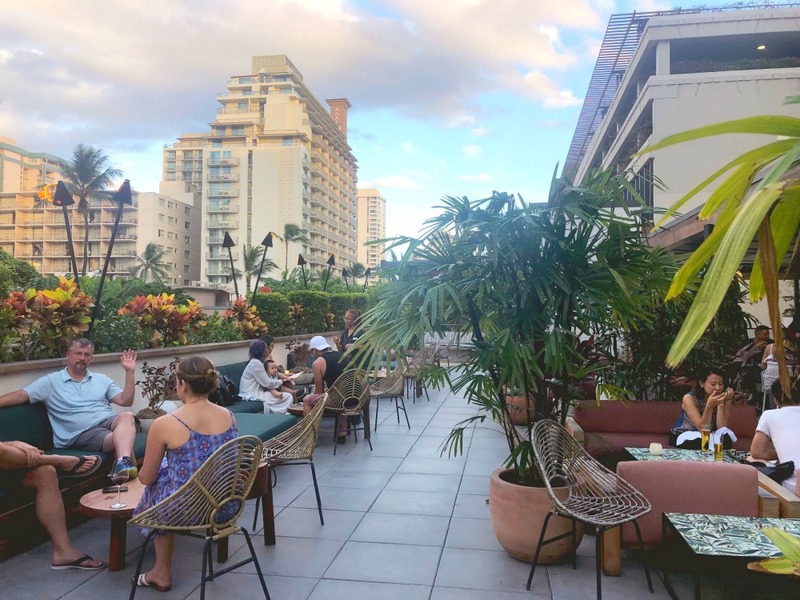 Head upstairs to the lobby of the Laylow Hotel to discover this cool, low key oasis in the heart of Waikiki. This open air bar and eatery is super chilled, has a cool vibe complete with sandy-bottom fire pits. At the daily happy hour, there’s a selection of $7 spirits, $5 beers and $8 wines. There are a range of reduced price pupu ranging from $4 to $10. 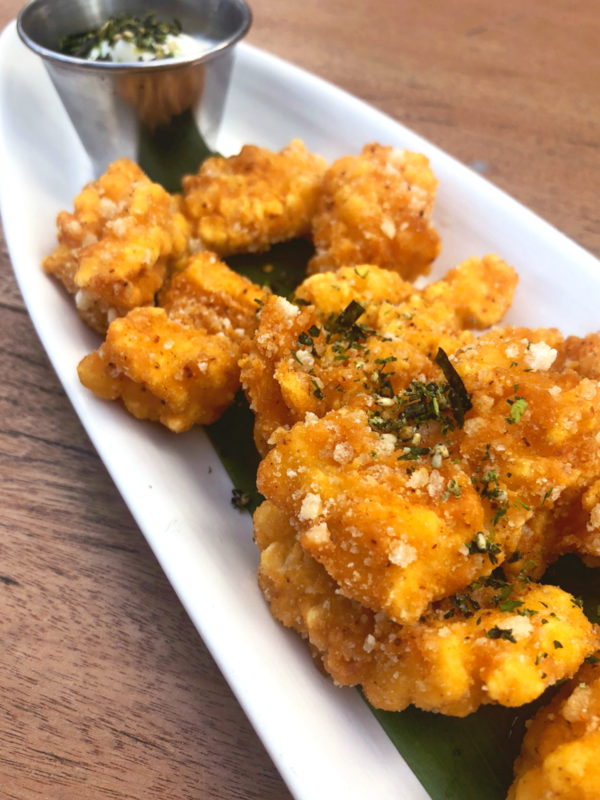 The Firecracker Squid with yuzu aioli and furikake really hits the spot. 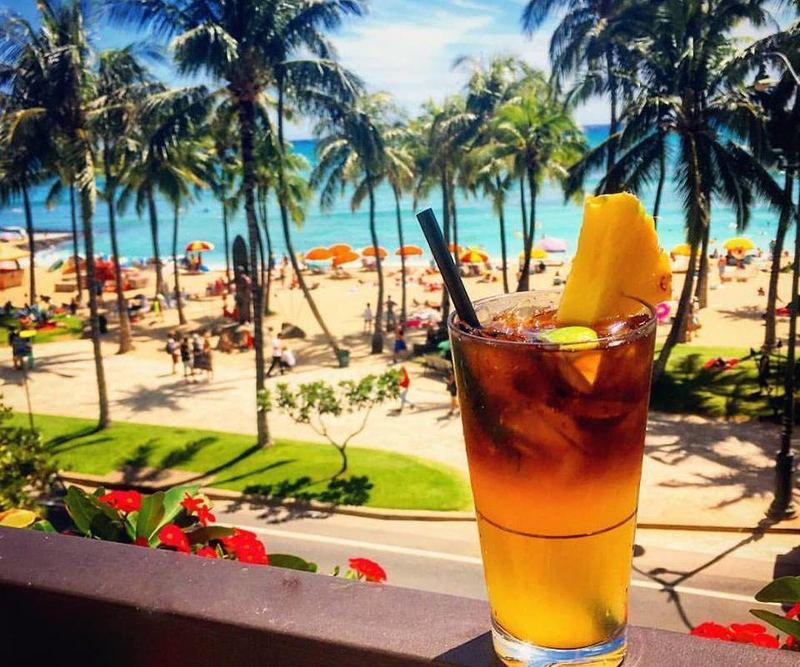 Overlooking Waikiki Beach and the statue of Duke, the Hyatt Regency poolside bar makes a mean Mai Tai. There are three $6 cocktails on offer plus $5 draft and domestic beers and Canvas wines. There’s a range of reduced price pupu with everything from nachos to burgers and sliders to tacos, plus there’s live music every Wednesday and Thursday from 5.30-7pm. 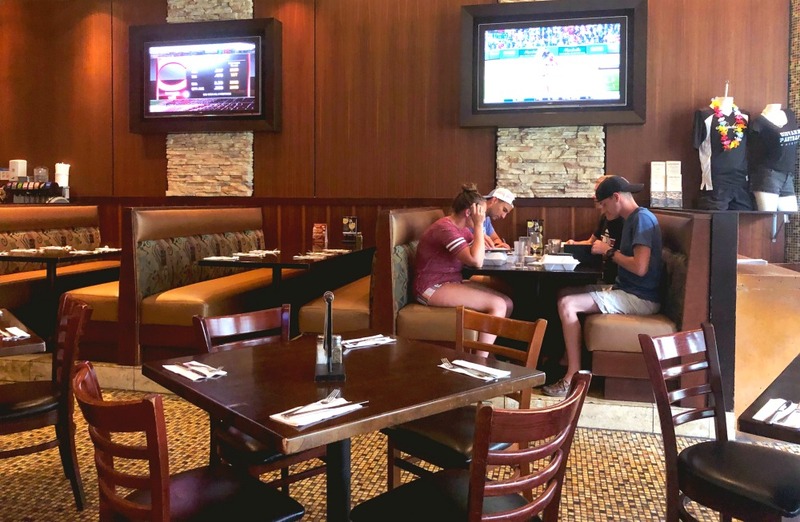 There’s no outside area at this sports bar/pizzeria but there are a good selection of happy hour eats with everything from sliders to fries and nachos to personal pizzas. You can score a draft beer for $4-5, bottled beer for $4-7 and there’s $2 off wine, $3 off signature and tropical cocktails. And here’s a hot tip, if you sit at the bar, you get a free slice of cheese and tomato pizza with your drink! 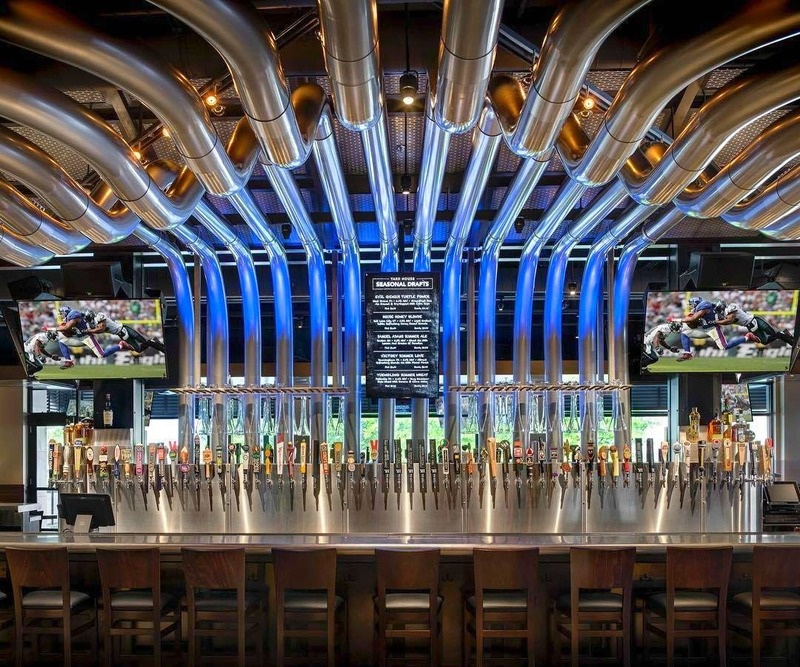 This high end sports bar is positively cavernous with an enormo-menu and huge selection of draft beer to match. Score $2 off draft beer, wine, spirits and cocktails and take your pick from the select half priced pizzas and appetizers. 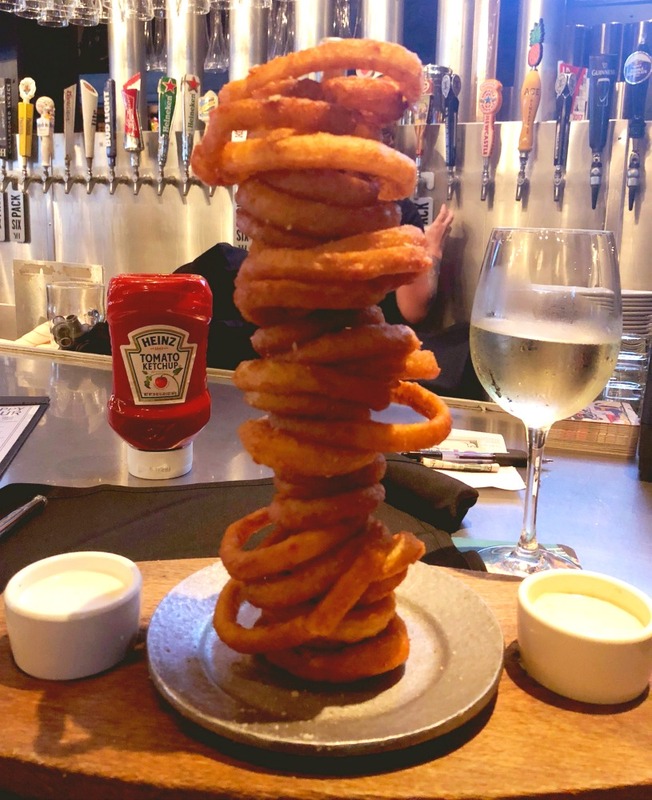 Personally, I can’t go past the onion ring tower, stacked high with delicious beer battered onion rings, it’s amazing value at just over $5.50 a pop. At this oceanside spot, you’ll find select specials on beers, spirits and select cocktails at $5 or less. 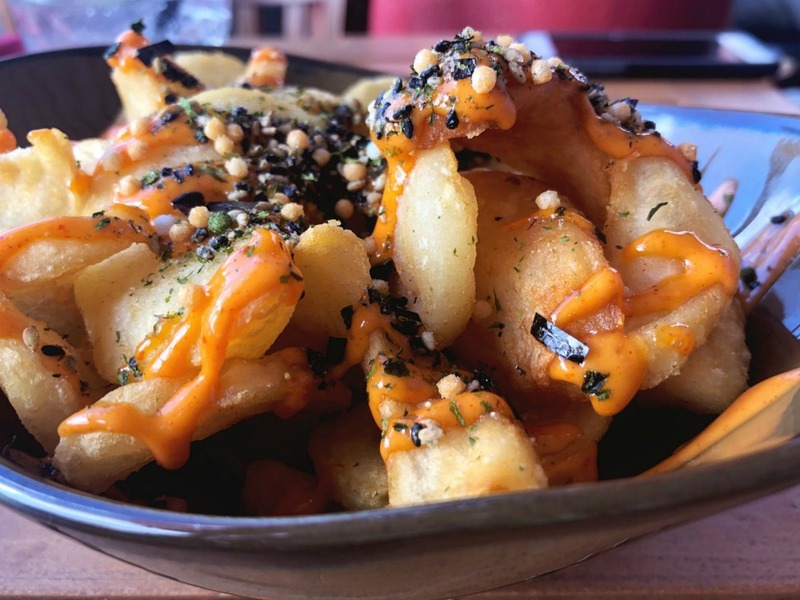 There are four $5 food specials on offer, Kalabi Beef Gyoza (x3,) Kalua Pig Quesadilla (x3,) Truffled Garlic Edamama and these Furikake Fries. Nom! 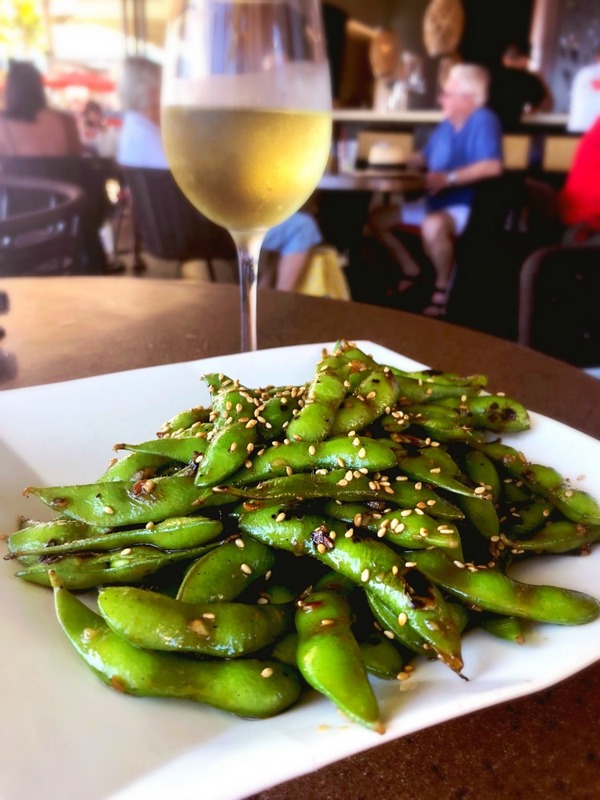 There are also regular daily drink specials, my pick being Wine Down Wednesday when you can score half off all wines by the glass or by the bottle from 5pm – close. Plus there’s great views of the beach and live music Friday through Sunday. What’s not to love?! 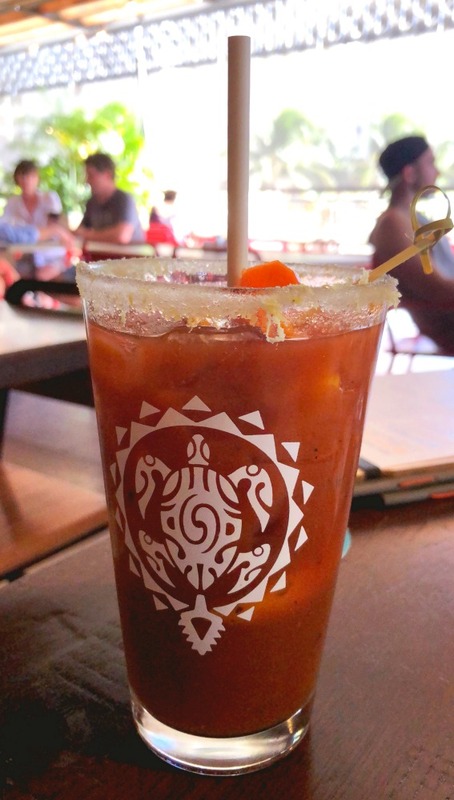 Have you got a favourite Waikiki watering hole? Which of these happy hours would put a smile on your dial? All our happy hour eats and drinks were thoroughly enjoyed and independently paid for. As always, all opinions are honest and my own. Linking up with Denyse for Life This Week.